Learn how to start home schooling your children "on the right track" and keep your sanity in the process. It can be done! Remember, there are many resources to help you as you start homeschooling your children. Legalities - learn the homeschooling laws and requirements for your state through an informed source. Start with a look at your state's website or the HSLDA.org site. 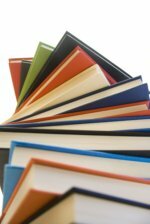 Books and materials - research the various homeschool curriculum publishers and see which ones you prefer. Also, check out used home school curriculum, homeschool worksheets, and online home school courses as well. Socializing - learn how to evaluate the many homeschool activities offered and discern which ones you should participate in with your children. Accountability - find out what homeschool record keeping or testing may be required by your state or umbrella group to be in compliance. Also, create homeschool lesson plans and generate academic files to furnish proof of what you are accomplishing. Teaching Methods - research the various learning styles and teaching methods to find what is best for your family. Avoiding Burnout - it is very important that you establish a system where you can be mentored by an experienced (and successful) homeschooler and receive homeschool encouragement when the need arises. Hopefully, I have shared enough information here to help you learn how to start home schooling with success and to "stay on course." Consider this decision to start homeschooling as a most important deposit that you are making into the lives of your children. Take the time to learn as much as you can about getting started, seek help when you need it, and do not expect perfection right away...or ever! Have a great time with your children.